AZ Technology was founded in Huntsville almost 30 years ago, and their out of this world exports include products such as Thermal Control Coatings for Space and Terrestrial applications and Electro-Optical Instruments. AZ also offers many related services in support of these products, like applying the coatings to spaceflight hardware, repairing and calibrating the instruments, as well performing measurements using their instruments. The small business began selling internationally more than 25 years ago. Countries AZ has done business with and expects to continue working with in the foreseeable future include Russia, China, South Korea, France, UK, Japan, Canada, Argentina, Israel, Switzerland, Spain, Norway, Germany, Singapore, Finland and Mexico. 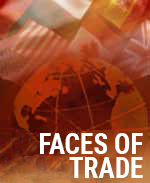 Exports contribute over 42% of AZ’s sales. Looking back to AZ’s beginnings, the company’s rich history includes developing spaceflight experiments placed on the outside of the Russian Space Station Mir during the first joint Russian/US spacewalk. This early research led to many current products and services, in business areas like satellites, spacecraft logos, and instruments for measurements needed for LEED and other certifications. Originally, AZ’s export sales were to the various International Space Station partners, and that was a small percentage of sales. The growth in the global satellite market has increased this to approximately half of sales, with yearly fluctuations of 10 to 20% due to exchange rates and country economic or political issues. Russia has been a strong market in the past, but almost all sales there are currently on hold because of their economy. With 13 employees, and almost 12 of those jobs being dependent upon international business, Lynn Leeper, President and CEO of AZ Technology, states that the company could not survive without export sales. AZ is a NAITA member and an active participant in NAITA and Export Alabama Alliance programs, which provide critical international business training. AZ has especially benefitted from NAITA’s export control events and networking, and AZ received the NAITA Global Trade Award in 2017. Please see below for information on how to nominate your company or another company for the 2018 NAITA Global Trade Award. The company is on track to keep selling around the globe…and beyond! Click here to learn more about AZ Technology.